Our proposal had been approved in 2018. The course was given by Dr. Mauricio Bellini National University of Mar de Plata, Argentina, member of the ANyOG Network, the University Center of Exact Sciences and Engineering, of the University of Guadalajara. The assistants could learn about Chaotic Inflation, Stochastic Inflation and fresh Inflation. A great course where the subjects were exposed and treated in addition to the doubts that arose in addition to the pleasant interaction between Dr. Bellini and the audience. On November 15, 2017, LIGO Scientific Collaboration announced the observation of another coalescence of binary black holes. The gravitational waves were observed by the LIGO twin detectors on June 8, 2017. This is the lightest black hole binary observed so far, with component masses 12 and 7 times the mass of the sun, at a distance of about one billion light years from Earth. The fusion left a final black hole 18 times the mass of the sun, which means that energy equivalent to about 1 solar mass was emitted as gravitational waves during the collision. This event, detected by the two LIGO detectors compatible with NSF at 02:01:16 UTC on June 8, 2017 (or at 10:01:16 P.M. June 7) at US Eastern Daylight time), It was actually the second binary fusion of black holes observed during LIGO's second observation since it was updated in a program called Advanced LIGO. But his announcement was delayed due to the time required to understand two other discoveries: an observation of three LIGO-Virgo detectors of gravitational waves from another binary black hole fusion (GW170814) on August 14, and the first detection of a binary neutron fusion. stellar (GW170817) in light and gravitational waves on August 17. It was held at the University Center of Exact Sciences and Engineering of the University of Guadalajara and the second meeting of the ANyOG Network, where national and international researchers from the Network and invited from LSC LIGO and National Center for Supercomputing Applications participated, where they presented impressive research work to promote students and close collaboration among assistant researchers. 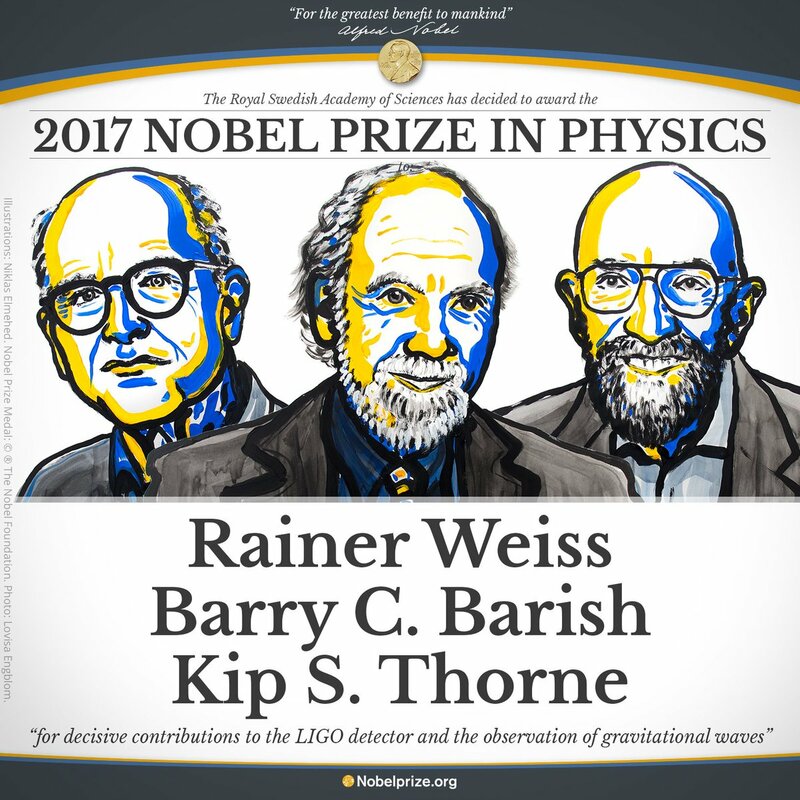 At the same time, he took the course of data analysis techniques for gravitational wave detection taught by Dr. Malik Rahkmanov and Dr. Mauricio Antelis. 2017-10-16 The first observation of gravitational waves of neutron stars! 2017-10-06 4th gravitational wave detection! The Virgo Collaboration and the LIGO Scientific Collaboration present the first observation of gravitational waves made by three detectors. This is the fourth detection of a binary black hole system and the first significant signal of gravitational wave recorded by the Virgo detector, and highlights the scientific potential of a network of three gravitational wave detectors. The observation of the three detectors took place on August 14, 2017 at 10:30:43 UTC. The two gravitational wave detectors by laser interferometry (LIGO), located in Livingston, Louisiana and Hanford, Washington, USA and the Virgo detector, located at the European Gravitational Observatory (EGO) in Cascina, near Pisa, Italy, detected a transient gravitational wave signal produced by the coalescence of two black holes of 31 and 25 solar masses. 2017-08-07 Second schools of general relativity and gravitational waves, and V workshop of gravitation and cosmology. The Observatory of Gravitational Waves by Laser Interferometry (LIGO for its acronym in English) has carried out the third detection of gravitational waves, consolidating the opening of a new astronomical window to the Universe. How in the two previous cases, the waves were generated by the merger of two black holes, which resulted in a third larger. The resulting black hole, located approximately 3 billion light years, has a mass of about 49 times the mass of the Sun. These characteristics place it at an intermediate point between the two previous detections, of 62 and 21 solar masses respectively. The School of General Relativity and Gravitational Waves, as well as the Meeting of the Thematic Network of Vibration of Black Holes and Emission of Gravitational Waves, was held from November 7 to 11, 2016. The event took place at the University Science Center Exact and Engineering of the University of Guadalajara. From July 3-5, 2016, a working meeting was held in Morelia, Michoacán, where several members of the network worked on solutions of the Einstein-Klein-Gordon equations that describe configurations of scalar fields around a black hole . These configurations can serve as a model for the distribution of dark matter in galaxies that have a super-massive black hole at their center. On February 11, 2016, the LIGO scientific collaboration announced the first direct detection of a gravitational wave signal. This signal comes from the fusion between two black holes of around 30 solar masses each, which took place 1,300 million years ago!